Delicious oven baked peanuts, cashews and roasted corn with a spicy blend of salt, chilli and lime. 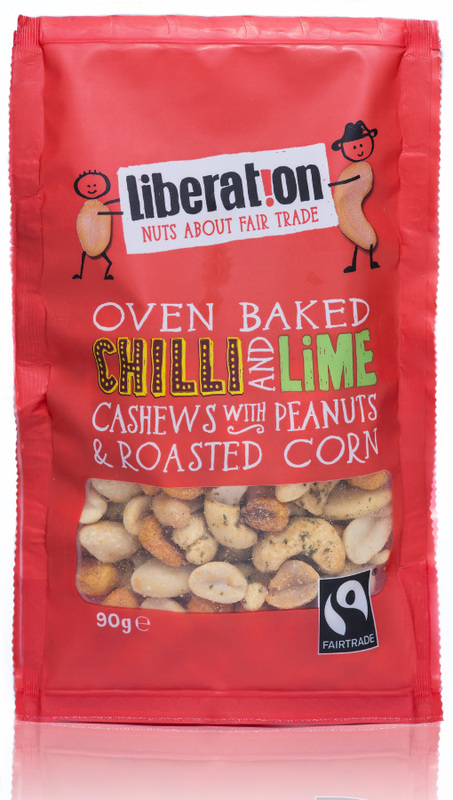 The Liberation Fairtrade Chilli & Lime Cashew Nuts with Peanuts and Roasted Corn - 90g product ethics are indicated below. To learn more about these product ethics and to see related products, follow the links below. What a yummy snack, not too spicy and generally a well rounded taste. 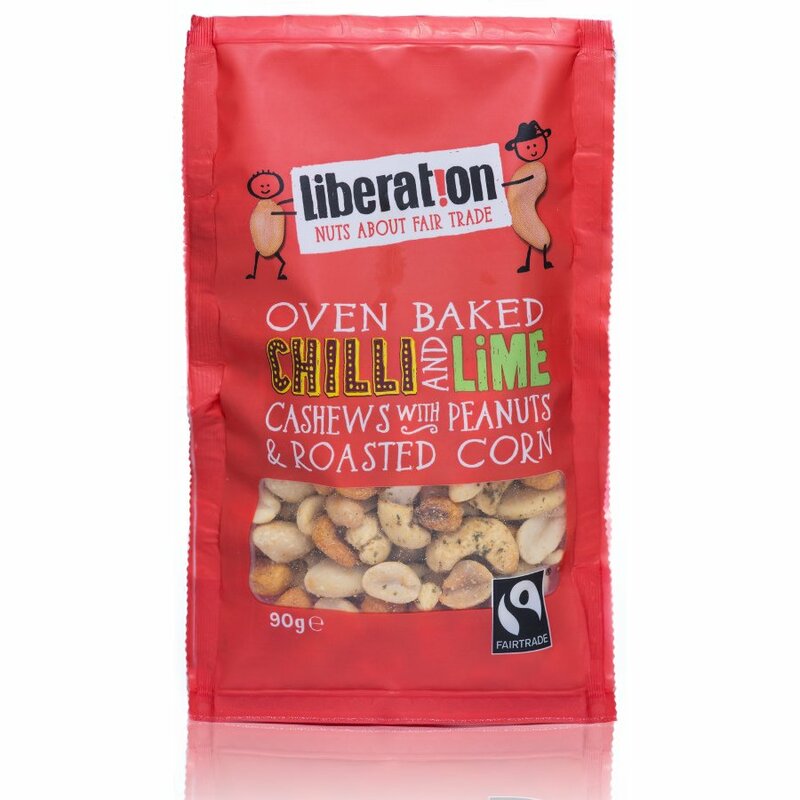 There are currently no questions to display about Liberation Fairtrade Chilli & Lime Cashew Nuts with Peanuts and Roasted Corn - 90g.